Is what appears on this thread really the extent of what exists for Fusion training? Now that BMD has dropped the price of the Studio Version there's bound to be a lot of interest in using it for even simple motion graphics work for folks who want to ditch the monthly Adobe CC payment just for After Effects. C'mom BMD, get on it and hire someone amazing for Fusion to rewrite the manual and create awesome video training like you hired Alexis Van Hurkman for Resolve! You've got a perfect model there, just follow the same path for Fusion!!! Jamie LeJeune wrote: C'mom BMD, get on it and hire someone amazing for Fusion to rewrite the manual and create awesome video training like you hired Alexis Van Hurkman for Resolve! You've got a perfect model there, just follow the same path for Fusion!!! The Resolve manual isn't a perfect model by any means. It needs continuous integration, too. That's why rigidly formatted PDF manuals are terrible for software that is so complex. Also, there probably isn't one person who is qualified to write the thing. It may, by practical necessity, need to be a committee effort. The problem being anyone reading this messages knows more about Fusion than he does. Ok now that Fusion 9 is out, I'm ready to jump in and learn. Will check youtube and google... What's the latest on excellent tutorials? Jamie LeJeune wrote: Is what appears on this thread really the extent of what exists for Fusion training? It *is* puzzling -- and the videos "available" on the BMD Fusion page are *still* "private". To take at its simplest: there a numerous mentions on the Resolve board for using Fusion for titles, thanks to the limitations in Resolve proper. But search for that subject in either of two Fusion 9 reference manuals, and you won't find a thing. It's nuts, this enormously powerful application (so people say, anyway), and no instruction on how to use it. Maybe this is not the page you are trying to access? I agree that there is a surprising lack of training videos compared to, say AE or Nuke. But there are some good ones available, Adelson's links are worth checking out. Thenika's videos were really helpful to me. Turns out it was a Chrome browser extension conflict, which prevented viewing. So at least the videos are available. I do wish the manuals were more helpful. Operations may be obvious for someone with an fx background, but otherwise it's a foreign language. The reverse is true for anyone trying to read the Resolve user guide. It's hard learning not just the software but the philosophy and background for it. I wonder if anyone has tried making a sideline gig out of doing remote desktop training. I know it's so much easier to do 1:1 training, I bet you could get up and running in under an hour if you had the right tutor. I wish Ripple training had a Fusion expert. Particularly one with Resolve expertise as well. 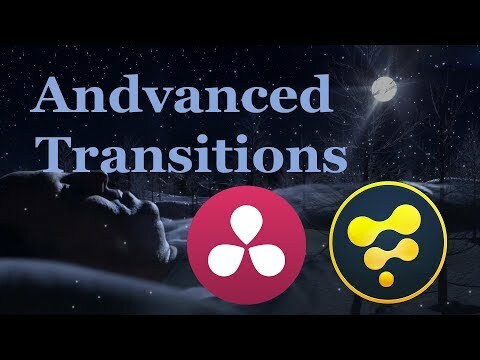 Steve Alexander wrote: I wish Ripple training had a Fusion expert. Particularly one with Resolve expertise as well. I've talked to the Ripple folks about it a couple times and they said they might do something, but it didn't appear to be a priority compared to other apps. I encourage you to contact them and request Fusion tutorials. Perhaps if they get more requests, they will do something. These probably won't be of any use to experienced users but I've started posting my Fusion 9 new features videos on my channel. SO far posted Planar tracker and Camera tracker tutorials. More to come. More importantly I'd love to get some feedback, hear what you think and what you'd like to see more or less of. Find me: pariahrob on youtube and twitter. HI Jamie - I did contact them about Fusion tutorials (last year) and they told me they couldn't find anyone to create them with sufficient quality. So a lack of expertise in their own group at this point. Too bad. Maybe I'll ping them again. If you don't desperately need videos to learn, try some reading with Bryan Ray. I can recommend his tutorials for a precise and deep introduction. I was very happy to see some Project Files that you could download and learn more. But honestly we need more of that and more training. Not only about the tools, but also some practical effects and post work as well. Like the guys at Blur use Fusion, why don't grab some of them and do a couple of nice tutorials. What kind of stuff are you looking for? The range of topics is so wide, you need to be more precise. 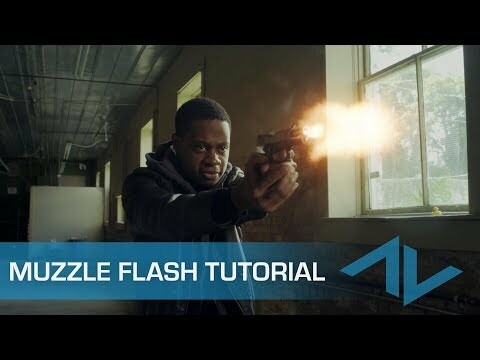 Personally I've recently done a tutorial on muzzle flashes in Fusion. Some of the techniques in there can be applied to a range of topics. I want to use Fusion for Architectural Visualization. I know it sounds crazy when you think you can use Photoshop. But I want to use 32 bit files and I want to have a more flexible way to work between reviews and small changes. I would love to see something about colour gradding\correction and adding effects like smoke, water, et. More related to VFX. Some matte painting as well. I think that what BMD did with that ship project is fantastic. We could have more of that, so you can learn how to use Fusion. Like, I loved how they created chromatic aberration. 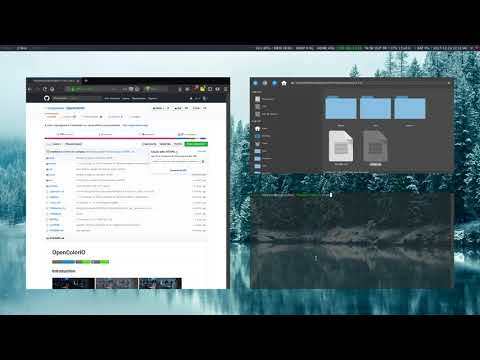 robredman wrote: These probably won't be of any use to experienced users but I've started posting my Fusion 9 new features videos on my channel. SO far posted Planar tracker and Camera tracker tutorials. More to come. Thanks again Rob for your effort. You're welcome. Sander de Regt wrote: What kind of stuff are you looking for? The range of topics is so wide, you need to be more precise. Thanks also for your effort. I would like to see a tutorial about glass shattering, Perhaps a more profound series about the particle system ( ok this is huge ). I searched the whole web for a tutorial (glass shattering), nothing, ok, I gave up it was late. BTW, you are a very gifted trainer. 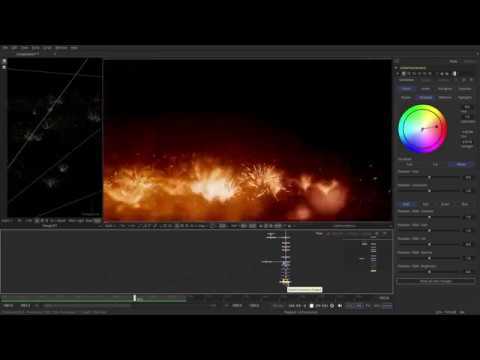 You should make more for Fusion and BMD should open a program to collect these fantastic tutorials. 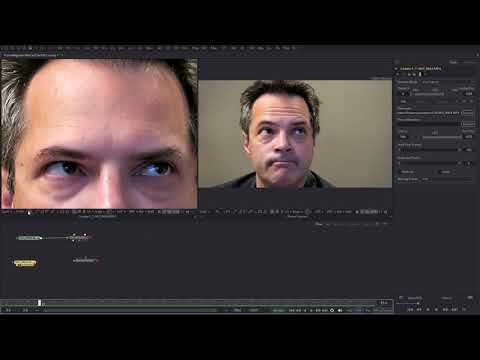 I just created a new tutorial on how to use Fusion Studio's Planar Tracker for wrinkle removal. Of course this technique can be applied to other 'beauty work' as well. Adding to the variety of training videos discussed here, let me bring another beginner level one, which might be interesting for editors. 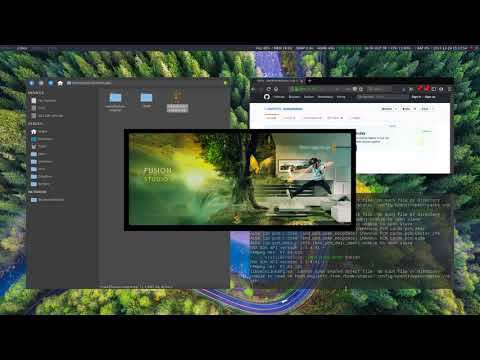 How to make custom, context based transitions in Fusion. Since it's with editing in mind, I'm starting from Resolve and then go over to Fusion with Fusion connect. But you can skip to 03:12 if you are interested in Fusion only. The source footage and fusion files are also available if anyone is interested to follow along. from the eyeon/BMD sites. But Google gave me two IMO legal sources. None of them is active, probably since they are getting old. such legacy material available ? I can tell you that I will not purchase until I know there are some good training available on Fusion 9. You guys need to get together with Lynda.com and get some training out there (with practice media!). meaganmargaret wrote: You guys need to get together with Lynda.com and get some training out there (with practice media!). gets from youtube or vimeo are no proper replacement for a throughout training. BTW, I am still wondering whether anyone could make the old (and free) Eyeon Courseware available again. If you're looking for good Resolve training, both Ripple Training and MixingLight.com have wonderfully made comprehensive video training courses that include training media. No need to look elsewhere. Unfortunately, for Fusion there's nothing even remotely close. That’s why I gave up on Fusion. Unlike Resolve, I feel that BM doesn’t know what to do with Fusion. Ressources are not limited, they are inexistant. For any new user attracted by the new price, there is nothing else to maintain his interest. Even with the free version, no one around me has put more than one look to it. - No tuts means not a lot of users. - Not a lot of users means no reason for a compagny to buy the software, if that makes difficult to hire someone. - Not a lot of users means, when you have an issue or a question, you won’t find easily someone to help you. I could keep going more and more. But Blackmagic should look at what the team behind Hitfilm Pro is doing. They do a lot of tuts every month, and are really helpful and interested in developping their users community. 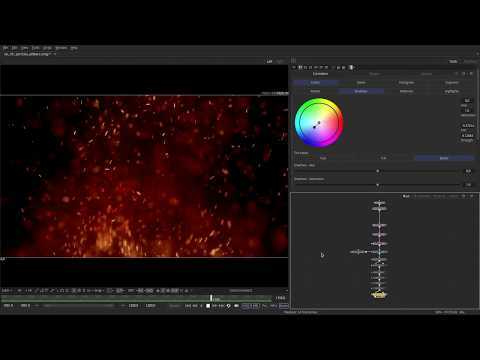 It seems to me that Blackmagic is more interested in pulling the Nuke users which are looking for a cheapest option, than making Fusion a true competitor for After Effects. FXphd is on the way! working on a series of classes on FXphd from nuts to bolts on Fusion. I'll keep posted when it goes live! I will also start posting tutorials online for free as well. Rony Soussan wrote: FXphd is on the way! Woot! That's what I like to hear! Awesome! Really looking forward to the classes! "Sorry. Because of its privacy settings, this video cannot be played here." I'm new to Fusion as well and as a 3D artist, I'd try to mainly figure out how to put together my passes and renders without going to deep into advanced comping. I've been searching the web for beginner tutorials. Most of them are either they way too basic scratching the surface or the way to advanced for a 3D artist. Most tutors just focusing on connecting nodes and expect you to figure out why they did it this way. I wish to see more tutorials with a better explanation about the workflow to understand the mind of a compositor and as well in depth functions of the different nodes. @ BmD- Hire Simon Ubsdell. He does the most detailed and in-depth fusion training videos I have ever come across on the web. Super talented super kind and super giving. Same for your web site. "Sorry Because of its privacy settings, this video cannot be played here." I just started your FXphd course. Unfortunately the first class starts out of sync (video is almost 10 seconds late). Looks like it syncs at the end of the clip though. It's only out of sync for a very short time. It's a bit distracting but once you're past it all is well. Just finished these and wanted to say thanks! New to fusion and this was a great introduction. Looking forward to your next set. Any idea on dates? I checked out the smoke tutorial, TJ. I thought it was good - the teaching style was nice and clear. Congrats. This might seem nit-picky, but YouTube viewers do tend to be attracted to tutorials in which the finished product looks really good (e.g. Video Copilot), and the Smoke simulation and rendering left something to be desired. E.g. popping, solid opacity, and having it go sideways, rather than upwards. Perhaps the intended result was cartoon/stylized? 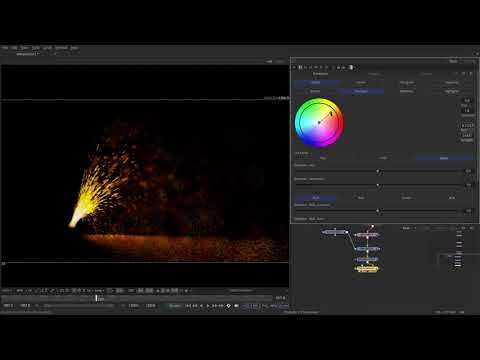 The particle templates bundled with Fusion have some great tips for a more realistic styles. Hope this helps. All the best with the channel.